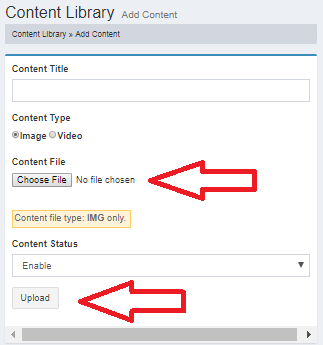 Content Library is to upload contain to cms without add new page. this is library space that to store file in CMS. 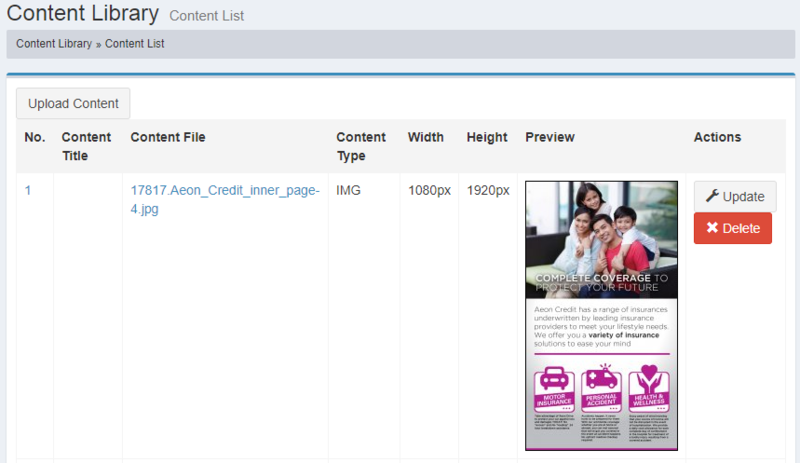 Click Contain Library > Upload Contain > Enter title > Select content type (image or Video) > Choose File > Upload.